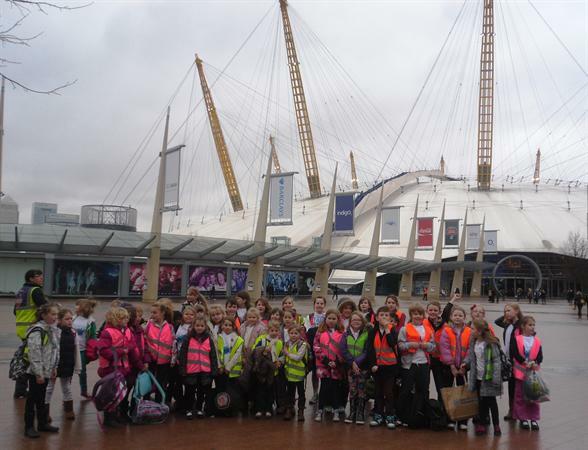 Yesterday morning, the Pluckley and Smarden school choirs went to the O2 arena to take part in the 2013 "Young Voices" concert. 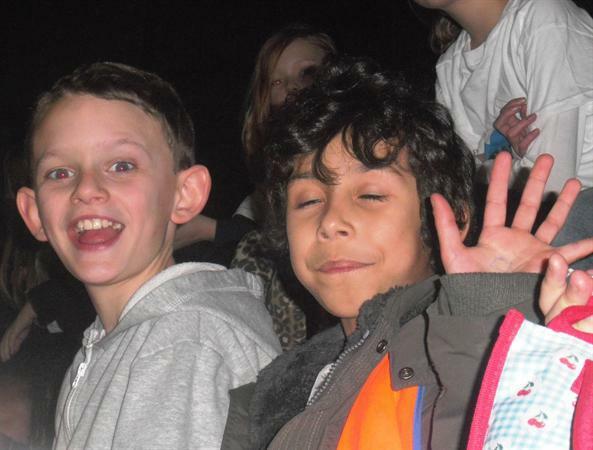 During the afternoon they rehersed with all the other schools taking part, they then had a food break and the concert started at 7pm. 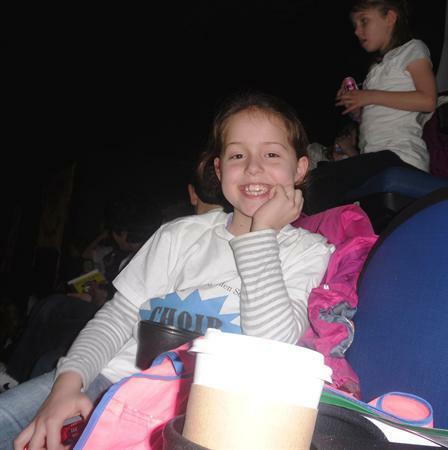 I was part of the audience and the first thing I did once I found my seat was to look for our school banners. I had come prepared with binoculars and started to search. No luck. I then received a text from Miss Hocking who explained where Pluckley and Smarden were sitting, and informed me that everyone would wave their high-viz jackets! That did the trick! 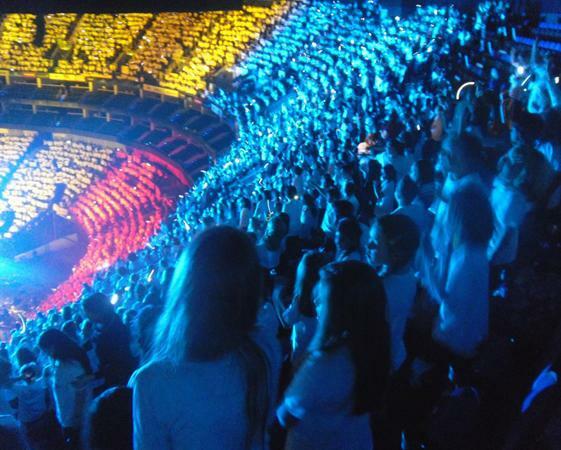 The concert was amazing, as well as the 'Young Voices' choir, the 'African Children's Choir' (who performed their number one single 'Sing' in front of the Queen during her jubilee celebrations), and Connie Talbot (Britain's got Talent) also sang. A big thank you to all the staff who organised the event, practised the songs and moves with the children, and accompanied them.